IHA got acquainted with Nick Stagge of ExpertVoice to learn about influencer marketing and how it is changing the ways brands communicate with their audiences, which he will outline at the 2018 International Home + Housewares Show. At the Show, the Innovation Theater will feature 21 presentations over four days. Topics discussed will include smart home, consumer shopping preferences, branding and global market trends. Nick Stagge, head of B2B marketing and brand strategy, brings more than 15 years of channel marketing experience to ExpertVoice. He started his career by leading retail sales and marketing initiatives across the Western states. During his time within the retail industry he learned the dynamics of the consumer buying journey and the power of a credible recommendation. 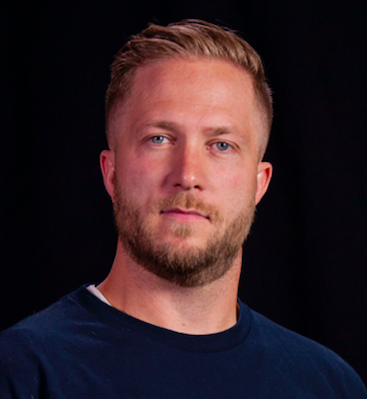 He left retail to build global advocacy programs at Skullcandy and then GoPro. At ExpertVoice, Nick shares his experiences and understanding of the consumer journey to help brands unlock the power of advocacy marketing. 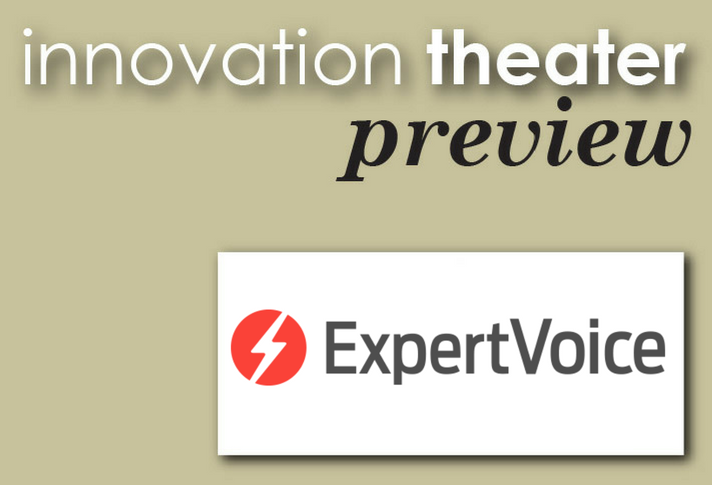 ExpertVoice has built the consumer products industry’s largest community of influential category experts, connecting them with top brands to create a new breed of buying experience — one that is informed, genuine and mutually beneficial. ExpertVoice’s community of more than a million experts is comprised of industry professionals, category opinion leaders, online influencers and passionate retail sales associates whose passion, experience and knowledge make them a trusted source of advice and inspiration on what to buy. These experts aren’t paid ambassadors—they’re vetted, authentic, trusted experts like professional chefs and specialty store employees. By engaging with these experts, brands foster advocacy and boost word-of-mouth. Nick, what is the most exciting or rewarding part of your work? Consumers are changing the dynamics of marketing and advertising. They are looking for trust and authenticity from brands about their products. And while consumers are speaking loudly, many marketers are still pushing their agenda rather than connecting with the consumers’ needs. At ExpertVoice, I work side-by-side with forward-thinking co-workers who are trying to bring that authenticity back to market. I’m lucky enough to also work hand-in-hand with some of the world’s greatest brands and their top marketers. I love the feeling that we are changing the advertising landscape – and consumers are responding. I spent 10 years working in retail, helping tens of thousands of consumers purchase products. I quickly learned that customers have a tough task to tackle when it comes to deciding what to buy. There are countless options and no clear indicator of what will or will not work for their needs. I recognized that my role (and my team’s role) was to become extremely educated about the brands and products we sold as well as the competitive items we didn’t carry. That way, I could help the consumer uncover the product that served their needs. We weren’t selling per se, instead, we were offering our expert advice on what best fit their needs. For the past eight years I have dedicated my career to helping brands interact with their consumers, much like I was interacting with them on the sales floor; with an authentic desire to help them make the right decision around what to buy. When I work with brands like WÜSTHOF, Reebok, Keurig, Calphalon or The North Face and help them create meaningful interactions with their experts and consumers, I’m energized. I’m energized because I believe these changes will shape the future of how brands and consumers interact. Can you name a pivotal event or project that impacted your career or company? The rise of social media dramatically impacted the advertising industry. As social platforms such as Instagram, Pinterest and Snapchat grew impressive populations of monthly active users, marketers were drooling to spread their message to the masses. When these companies refused to allow brands to advertise (oh, how things have changed) the brands turned to influencers to help reach this newfound audience. This dynamic established the framework for influencer marketing as we know it and accelerated the consumers’ distrust of brand marketing. As trust declined the need for credible recommendations increased: insert ExpertVoice. In the past few years, what has changed most in your business? Most recently, the shift in the retail landscape has really shaken the advertising industry. The talk revolves around the doom and gloom of retail; many are even calling this the retail apocalypse. Truth be told, consumers were projected to spend $1 trillion in holiday shopping in 2017, with 80-90 percent of that sold in brick and mortar. I don’t subscribe to the death of retail. The retail landscape will thin as inefficient, outdated retailers will close up shop. Meanwhile, retailers that prioritize a consumer-centric model will grow stronger over time. Retailers do not own the solution alone. The brands carried at these retail shops need to actively work with the retailer to create a better buying experience for their shared consumers. ExpertVoice brings brands and retailers together to help arm the sales associate with the right level of knowledge and meaningful product experiences to make credible product recommendations. We are also helping brands identify and interact with category experts who may not work in retail, but are still asked for advice on what to buy. Monday, March 12 12:30 – 1:20 p.m.
Why did you choose to speak at the International Home + Housewares Show? This Show attracts top level marketers from the biggest brands in the housewares industry. ExpertVoice has recently partnered with some of these brands to help them scale their product advocacy programs. We want to ramp up our interactions with the Show and the brands attending as we believe we can help accelerate their marketing initiatives. I am looking forward to connecting with forward-thinking brands and marketers who are looking for new ways to credibly interact with experts and consumers. I find that while I may be the presenter, I typically walk away learning more about the industry, state of marketing and new approaches than I had imagined. Tell us what you will be speaking about and how this topic is important for Show audiences. As consumers’ shopping behavior changes so too must a brand’s and a retailer’s approach to advertising. Marketers that are focused on bringing authenticity and credibility into the consumers’ path to purchase are delivering great results while simultaneously building an army of brand loyalists. What do you see as consumers’ biggest concerns regarding housewares products or how to shop for them? With virtually unlimited product options and endless information on what to buy, consumers have a real challenge in front of them. Because consumers don’t know who to turn to for advice and inspiration on what to buy, they end up spending an enormous amount of time researching products and deciphering the validity of a recommendation. Thank you, Nick, for giving us a taste of what you will explain about the new terrain where brands, retailers and consumers connect and communicate. We look forward to diving deeper into this topic with you on Monday, March 12 at 12:30 p.m. in the Innovation Theater. To learn more about ExpertVoice and how its rapidly growing community of brands and experts are transforming today’s buying experience, visit www.expertvoice.com. Learn from experts about how to invigorate your new products and services by enhancing your innovation efforts. Critical issues such as global design trends, branding, the needs of distinct consumer age and gender groups, and questions about smart/connected devices in our home environments all impact the home goods market. Be sure to attend the free executive-level educational sessions at the Innovation Theater. These programs will give you a fresh perspective as you walk the Show and will inspire, inform and improve your business. All programs will be audio-recorded and will be available at www.housewares.org after the Show.